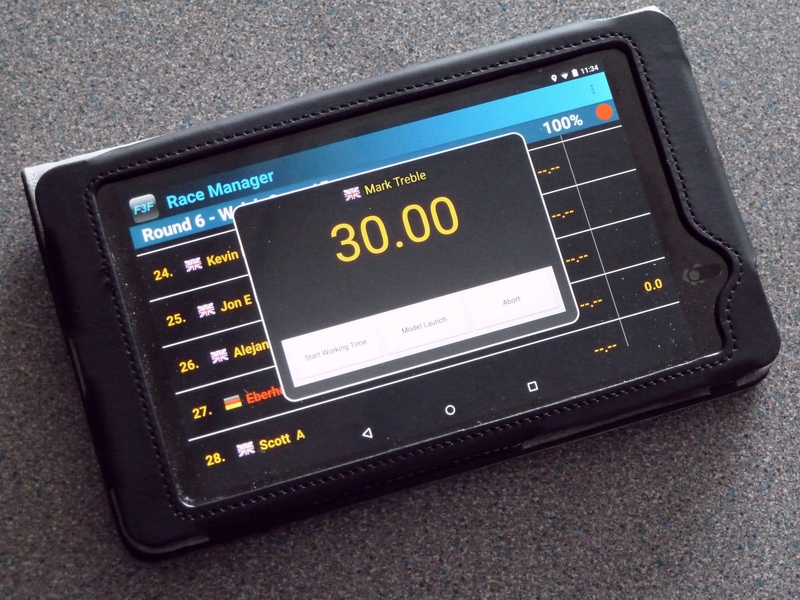 The Mk III Timer is similar to the MK II, but the Race Management Functions are now carried out by an Android Phone or Tablet. The Timing as before is done by a dedicated Micro which manages the lap counts and timing functions. The Android Software has been developed by Mark Treble. An explanation of the functions and operation can be found here . A feature of the new system is the ability to link with bluetooth speakers, to give voice instructions and lap counts as the race progresses. The Timer design is based around the existing hardware that has proved so reliable, but with an updated feature to allow an Android interface known as a IOIO ( pronounced Yo-Yo ) board to be added. Commands from the Android are interpreted by the IOIO board, and sent to the timer via a USB cable. Charging of the Android is also via this usb link. As an alternative to the IOIO board, a new BLUETOOTH connection board has been developed to enable the Android to communicate wirelessly with the Timer. Details here. On launch, the Android starts the Timer which begins the timing and lap counting functions. At the end of the race, the Timer sends the race time value to the Android via the USB port or via the Bluetooth link.